From the author of Waterstones Book of the Month The Versions of Us comes a story about music and the memories that make up a life. Alone in her studio, Cass Wheeler is taking a journey back into her past. After a silence of ten years, the singer-songwriter is picking the sixteen tracks that have defined her - sixteen key moments in her life - for a uniquely personal Greatest Hits album. In the course of this one day, both ordinary and extraordinary, the story of Cass's life emerges - a story of highs and lows, of music, friendship and ambition, of great love and great loss. But what prompted her to retreat all those years ago, and is there a way for her to make peace with her past? In a ground-breaking collaboration each chapter of Greatest Hits opens with a song, with each being turned into a reality by the singer and songwriter Kathryn Williams The sixteen tracks in the book, with music by Kathryn and lyrics in collaboration with the author, will be released in June 2017 on Kath’s album Songs from the Novel Greatest Hits, via her label One Little Indian. Get a taste of the music behind the novel as Laura Barnett discusses the ten songs that have shaped her life.
" 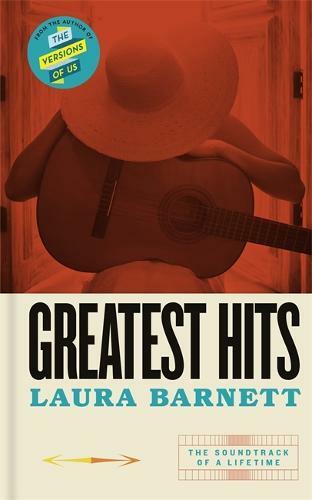 Greatest Hits " is a highly original novel told through songs Cass Wheeler has written or chooses to tell her life story.